The manufacturer will discontinue and item and we are no longer able to offer it. There are consistent stock issues with specific items. An item isn't selling or doing well for our members, and we want to make room for new items that will be popular and exciting! The following items will be officially discontinued on May 21st, 2018. If you have any of these items up for sale in your shop, please remove them before the discontinue date. If you are not currently offering any of these items, please don't add them to your shop. 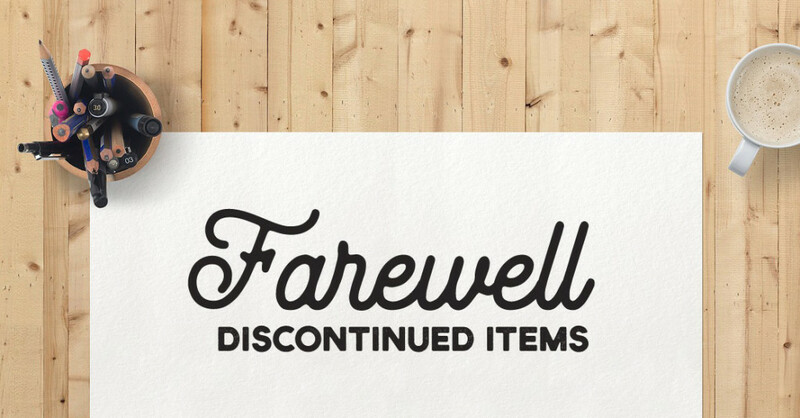 If you currently offer these discontinued items in your store, please make sure to remove them or replace them before the May 21st deadline. If you were considering offering these items in your store, please refrain from doing so, as they will be discontinued shortly. We apologize for any inconvenience the discontinued items may have caused you.